This is Part Two of a two-part post. Last week I issued the first half of this post where I spoke to how best to position your property with a potential sponsor and how to identify your prospective sponsor targets. This second part addresses the actual sponsorship presentation and ways to make your presentation and initial introduction to the potential sponsor more productive. If you haven’t read Part 1 or would like a refresher click here. The obvious targets for selling properties are the brands themselves, but there are many other important influencers that you should consider talking to. It all comes down to who is helping the brand teams make their plans. 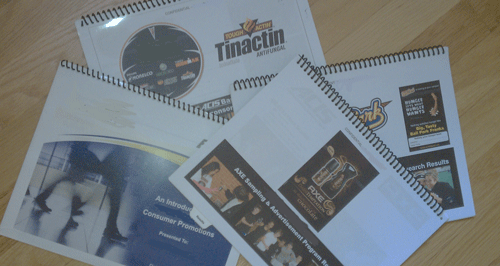 These other constituents include the promotions or integrated marketing team and the brand’s promotion agency. More often than not, the brand team provides the integrated marketing agency team with the creative brief to develop the big idea and execution elements. If they have fallen in love with a sponsorship opportunity for some reason, they will then direct the agency towards that opportunity. However, the more likely scenario is for the agency to present a sponsorship as part of a fully integrated plan. If you haven’t spoken to the agency, then you’ll never be included. Additionally, the alternative scenario is that you contact the brand manager and he passes you over to the internal promotions manager or the agency to filter and evaluate the opportunity. In this case, be prepared to follow up with additional phone calls, especially with the agency as you are not their priority. Persistence does pay off. This has to be one of my biggest pet peeves, second only to receiving sponsorship packages that have no relevance to my target audience. As I mentioned previously, you must do your research and have an awareness of what the brand is doing in the marketplace. Your sponsorship presentation should reflect that research. Why i s this sponsorship a good match for my target audience? How could we activate it at retail? Did you look at the website, and if so, how could it be integrated into the website activity? Similar to resumes, you need something that is going to get my attention and help me connect how the property is going to resonate with my audience and help me sell product. I have had people representing properties tell me they don’t want to waste their time doing this until they know the brand might be interested. I totally get that, but a little personalization goes a long way to a brand considering your property. Don’t forget to use my logo and spell my brand name correctly. Managers don’t want to receive a proposal as part of a mass mailing. It says you aren’t doing your homework and that just doesn’t sit right when most of the time the brand manager is spending a lot of money on the potential sponsorship. The phone conversation goes something like this: “Hi, I am Joe Brown and I represent the “fill in the blank” tour. Do you have a few minutes to discuss this opportunity? So, could you tell me who you are targeting and the kinds of plans you have for this year?” The answer will be that we don’t share our plans unless you are a partner. I might tell them our target audience, but he/she has already lost me. It’s a perfect example of a property not doing its research and being a weak salesperson. 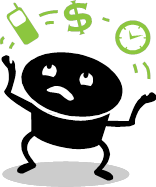 One could argue that the salesperson is looking to engage me in conversation, but with limited time to talk, the conversation has to be a productive one, and this type of conversation will be more productive for the salesperson than me. You would think this is a no-brainer, but it isn’t. For big properties and the agencies who represent them, this is second nature. Then there are the others. I have received two-page printed documents selling a car-racing team. I have received emails with basic attachments for a beach volleyball tournament and a presentation that was nothing but a bunch of photos and some basic descriptions, but very little that told me what the benefits of the sponsorship were. In truth, many of these small properties would benefit from a seasoned marketer to provide them with some guidance. At times, I have provided them with feedback when they actually got me on the phone. Most of the time, these poor proposals end up in the circular file. These smaller guys are really appreciative of the feedback as I get the feeling they are not experienced in getting national sponsors. No matter what you are selling, it takes perseverance and professionalism. Selling sponsorships isn’t any different. The reality is that those selling these properties have rarely, if ever, been on the other side of the desk and don’t have a real idea of what motivates the client. Hopefully, this post provides some much needed insights that will result in a higher success rate. Don’t throw the spaghetti at the wall because it really won’t stick. Use a methodical and researched approach, and you will have a higher success rate with the results reflecting the effort exerted for each sponsor target. If you are a property looking for some help or guidance, please do not hesitate to contact me at szweibaum@marketing-smith.com. In my previous post (click here to read Part I) I talked about the perils of a celebrity endorsement, using Gilbert Gottfried as the voice of the Aflac duck as a jumping off point. In this post I am going to look at how Aflac found a way to create a terrific consumer promotion in the aftermath of the PR problems Mr. Gottfried created by his horrendous comments following the Japan earthquake and tsunami. Once Mr. Gottfried was fired and the PR folks dealt with the initial crisis management issues, Aflac needed to attend to a few issues. First, they pulled the commercials containing his voice off the air. Given that they apparently had a fairly strong media buy, they needed to quickly change their commercials. They started airing an old silent movie version with no Aflac duck voice. With this done, they now had to find ways to revamp their image and create a new connection to their audience. They could have just let the issue die, but the duck voice was a centerpiece of their advertising, and they weren’t about to create a new creative direction. Additionally, they could have quietly found a new voice and let the whole affair slide by with no fanfare. They instead chose a direction that would create significant positive buzz, generate consumer-generated content and directly involve the consumer in the brand. 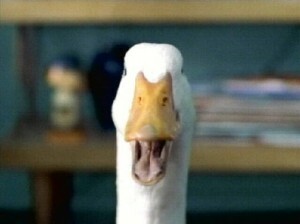 They created a consumer promotion to find the next voice of the Aflac duck. To begin promoting the search, they used the silent movie commercial to send consumers to Aflac’s Facebook page to learn about the contest. They used Monster.com to help them collect potential candidates for a contest that included both professionals and amateurs. They also set up a microsite where consumers could go to get additional information. What’s more, Aflac clearly stated that they didn’t want a Gilbert Gottfried imitator; they wanted a unique voice and interpretation. They evaluated these potential voices through auditions in 6 cities and through the online submissions. Effective Crisis Management: They took swift action in the form of crisis management and executed with a well-thought-out plan. It wasn’t highly reactive and yet very effective. They distanced themselves from the problem and swiftly put actions into place to show how they were moving forward away from the issues. Tying the Crisis Management to Promotion: Aflac turned a negative experience into a fun and consumer-interactive promotion. They created a contest where you, the consumer, could be the new Aflac voice. Now the focus was no longer Gilbert Gottfried, but the brand and how they were doing something new and cool. Creating an Integrated Promotion: Aflac smartly created a promotion with multiple touchpoints . These touchpoints included a microsite, social media outreach through Facebook and Twitter, PR and national advertising. Everything tied together. The PR was exceptionally well done with both print, online and TV stories talking about the contest and the new voice of Aflac. Continuing the Connection: The contest is now over, so the question is how to keep the conversation going. They will first generate additional publicity when they announce who the new voice is. They have also taken their Facebook page and made the focus donations to Japan to help support the victims of the earthquake and tsunami. This does a couple of things – A) shows compassion and outreach to a key customer base (remember 75% of Aflac’s business is in Asia); and B) distances themselves from the negative image of the company Mr. Gottfried potentially inflicted on them. A few years ago I participated in some similar situations as Aflac has encountered. The hardest one was the issue surrounding BPA and its use in baby bottles. We, too, had to come up with a quick plan, but one that would create goodwill and positive promotion. In our case, we gave away one million BPA-free baby bottles. It was ambitious, but the move put our company on top as a proactive manufacturer who cared about our consumers. 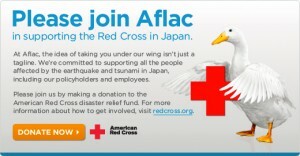 We used the same principles that Aflac did, and it worked very effectively. Crisis management is tricky, and some issues are more serious than others, especially when you may be dealing with health concerns from a product recall. In Aflac’s case, it was more about consumer perception of the company, but by initiating a strong and well-thought-out plan, they were successful in changing the conversation to one that put them in a very positive light.